The Talon has this oddball double-lower-balljoint front suspension, where there isn't one lower A-Arm, but rather two of them. Each has its own balljoint, and the steering knuckle pivots around the instant centre of the two pivots points. It's really very strange, but it allows the front suspension to be packaged tighter. If we didn't have it, we couldn't run the huge wheels that we do. But one of its quirks is that the two lower A-Arms pivot back and forth whenever the wheels are steered. In order to accommodate this motion, Mitsubishi embeds the pivot bolts in thick rubber bushings. The rubber flexes enough to allow the suspension its full range of motion, and also provides some degree of noise isolation. But along with allowing the necessary suspension movement, the compliance in the rubber allows the A-Arms to move all over the place. Even worse, the main support for the shock/spring assembly is through one of these rubber bushings, effectively placing an additional, undamped spring in line with the suspension spring. This is all well and good for a street car, but with a race car, we want the spring and shock to be doing all the work, not the bushings. The rubber must be eliminated. But it's not enough to just hog out a solid bushing and press that in there (or use a polyurethane bushing) as the suspension MUST pivot or the steering won't work. The solution is to press in a pair of spherical bearings. These are solid radially, but allow the arms to swing free. 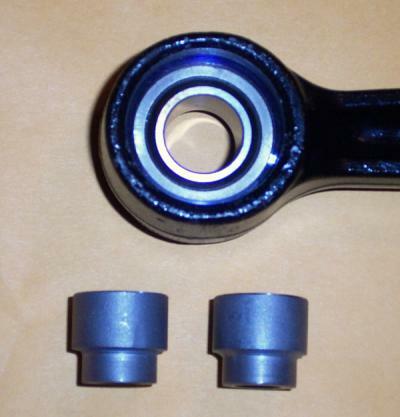 Here's a closeup of the bearing and the standoffs. The bearing is a press-fit, but there's a pair of retaining circlips to ensure it can't work loose. These were converted for me by a local machine shop. I've also been doing some prep work on a spare intake manifold I had lying around. The idea here is to remove all the material from it that can be spared in order to shave a little weight and clean it up. 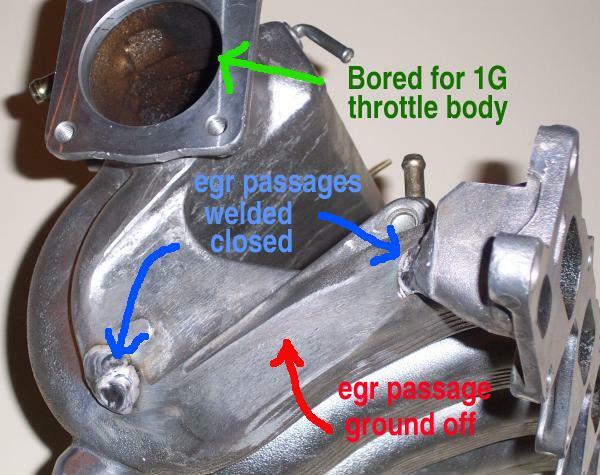 The only real power advantage from this part (so far) is the larger throttle body bore, but anything that takes weight off is time well spent. This is a shot of what was left of my intermediate shaft after the 2002 Peru Pro Not too pretty, is it? 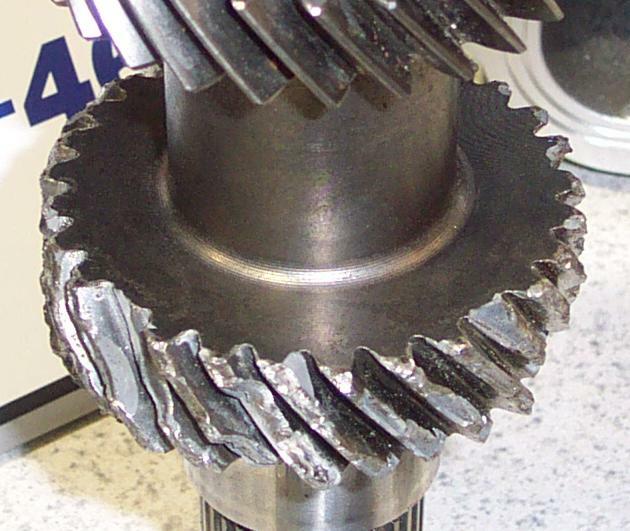 I had a bunch of transmission experts examine it at the PRI show, and the diagnosis was unanimous - fatigue failure. So this part will receive a little more prep work on all subsequent transmissions, and will be inspected regularly.